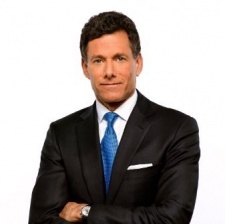 Rockstar and 2K Games parent firm Take-Two reported its financials yesterday with CEO Strauss Zelnick speaking to press and investors about the company's results. While much time was spent talking about the success of cowboy simulator Red Dead Redemption 2's initial success - 17m copies sold-in is nothing to be sneered at after all - Rockstar's plans for the cowboy simulator's forthcoming multiplayer platform, as well as the continued success of Grand Theft Auto Online, other pertinent topics were seemingly off the table. That's with the notable exception of GameDaily, who pressed Zelnick on the reports of a toxic working culture at Rockstar's San Diego studio. The exec says that he is proud of the team there and that he stands behind Rockstar and its approach. "Rockstar commented extensively on the issue," Zelnick said. "I don't think there's much to add to it. I would say that I'm incredibly proud of Rockstar Games. There are more than 2,000 members of the team who did a fantastic job bringing Red Dead Redemption 2 to audiences around the world. "Rockstar is a great place to work. It's a place that values creativity and talent more than almost any other place on Earth. I stand behind the label, the executives and their approach." He continued: "Look, we have a common culture and shared views and aligned interests, both personal and economic. Certainly, our creative interests are aligned. We all work within the same enterprise. I think there's a great deal of commonality of culture and I'm really proud of that, which is why I said I stand behind the [Rockstar] label and their approach." There's also more evidence of Red Dead Redemption 2 coming to PC. Asked by Stifel, Nicolaus and Co's Drew Crum about the possibility of the Western hit coming to the platform, Zelnick defers it to Rockstar. Were this port not in the works, a simple denial would be more likely. "In terms of ongoing releases, Rockstar will talk about what their intentions are going forward with regard to all upcoming products and that the same would hold true for platform," he said, as transcribed by Seeking Alpha. "So, in this particular instance, I can't really give you too much clarity, apologies." -In the wake of its seemingly justified threats of legal action against Trusted Review parent firm TI Media, how does Take-Two view the games press? -What is Take-Two's approach to loot boxes in countries where they are now illegal? Why has its 2K Games label asked consumers to get in touch with government reps to see about reversing this change in the law? -What does he make about the conversation in the development community right now about the need for collective bargaining? -Does he see crunch as a necessity or something that can and should be phased out?